There are a number of significant features, which help to distinguish a good metal act from an outstanding one. Musical skills, strong songwriting qualities and a professional performance are some of the prerequisites which every band should have, but much more important is an individual style, an independent artistic signature, a band's own trademark. ALPHA TIGER from Freiberg in Saxony have found their own DNA. Their latest album is not only called iDentity, it also presents precisely that individual profile. The band has released the first video from iDentity, a track called "We Won't Take it Anymore". You can check out the video right HERE. Guitar player Peter Langforth states: "Today we're gonna present you the official videoclip for "We Won`t Take It Anymore" from our upcoming studio album iDentity. We shot the clip inside an old, disused warehouse near our hometown Dresden. Every requisite we used in the clip and also all of the flags are related to the message of our new album. This video is very metaphorical and alternates between the levels of reality and a kind of a dreamworld, which has to be understood as a synonym for our inner struggle to free or minds. Nobody got the rights to dictate what we have to think or what we have to feel. Our thoughts are the only thing that never can be taken away from us!" 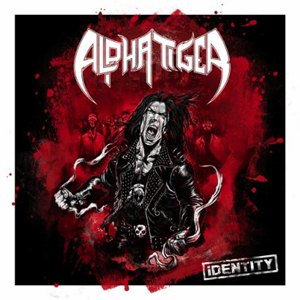 iDentity will be available in three formats: as a Digipak including DVD featuring recordings from ALPHA TIGER's performance at the Bang Your Head festival in June 2013, as a jewel case and as a gatefold vinyl LP. Release Dates in 2015 are: Scandinavia January 14th, Germany January 16th, Europe January 19th and USA January 20th! The album is available for pre-order on Amazon and iTunes. 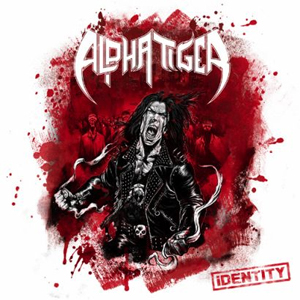 So everything is ready: the new album iDentity presents the musicians Peter Langforth, Stephan Dietrich, Alexander Backasch (guitar), Dirk Frei (bass) and David Schleif (drums) as a mature and independent metal act who are guaranteed to win lots of new fans with their upcoming live shows. "We Won`t Take It Anymore"